The Void is a parallel plane of reality that coexists alongside the mortal world & The Spirit World, and is home to the evil spirits, immortal supernatural entities which often embody different aspects of life and nature. The void is a timeless prison dimension, that acts as a hell of sorts. Humans cannot freely traverse through the void as the barrier that surrounds it is far too powerful since the void is a prison. The barrier can only be opened by a set special weapons known as the void arcs. Even though the void is a prison this also makes it a good place to hide priceless treasures since in the void those who use chi find themselves unable to do so in the void without prolonged stays and intense training, but even with these stipulations the only things native to the void that can use chi are class 1 ethereals. This fact make even users of Synchronization useless here. Time has no meaning in the void as nobody or nothing ages. The void is a desert-like wasteland where the sun never sets. It appears to have no indigenous lifeforms, either animal or plant. It has what appears to be a river of blood flowing through it and rocky roads, as well as several caverns and caves. 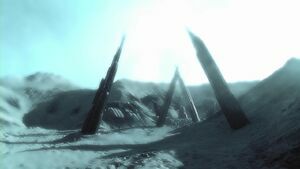 Other than the spirits of people that are imprisoned here the only other life forms within the void are the ethereals. These creatures are the result of a prisoner giving up their will to live and they die and leave their energy behind, which turns into an ethereal. The ethereals come in different shapes and sizes they also all have different fighting methods. The type of ethereal a person becomes depends on the amount of power the person has in life. From there they can devour other ethereals and spirits within the void to progress to a higher state. The one thing they have in common is that they all cannot use chi and, only when an ethereal reaches class 1 will they be able to use chi. The Void Arcs are ancient weapons used by the void guardians. These weapons take on whatever form the user desires, however they stay in this form until they fall into new ownership. These guardians have 2 jobs. The first is to protect the void and its inhabitants not including the seemingly mindless and dangerous ethereals. Second is to ensure no prisoners escape by any means, even if that means to kill the spirit. The Void Arcs act similarly to the anchor used by the other side, where as they they allow the wielder to see spirits from the void. The wielders however cannot see spirits from the other side or spirit world unless through other means. The black shards are in a stone alter in the temple of Dragons inside the void, where they have been untouched for a thousand years. Until they found their way through a small dimensional rift into the mortal world. Separately these arcs possess immense power and can open gates to and from the void. But when the users of all 5 arcs come together and combine their power they are close to unstoppable. Each arc is marked with one of 5 animals(Lion, condor, gorilla, wolf, and wildcat). 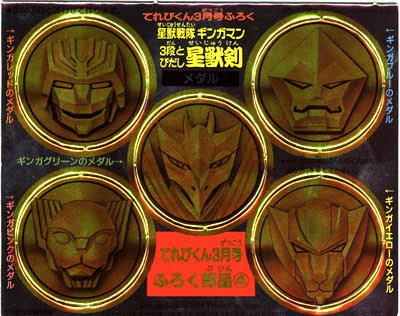 The shards and the weapons they turn into are marked with a small symbol of the animals face on a gold coin somewhere on the weapon. 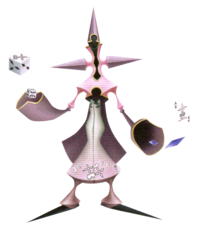 When the arcs are not in use they are not present with the user, instead, they stay within the void and can be summoned upon the user holding their hand out and speak the summoning command chosen by each user. Due to the nature of the Void, the user's of these arcs gain a permanent 2 points to all stat areas as long as they own the arc. The Black Pegasus Arc is an arc just like the Void and Spirit Arcs, however it falls into its own category that it shares with the White Tiger Arc. The Pegasus Arc acts similarly to a Void Arc in that it can open a portal to the Void. However unlike a Void Arc, the Pegasus arc is black and white in color instead of black and gold. The usual gold coin that is somewhere on the weapon the arc makes is now white. The Pegasus Arc gives the user a slightly higher increase in power as compared to its Void and Spirit counterparts. The final ability of the Pegasus Arc is it has the ability to combine with the Tiger Arc, this combined weapon can be used by either the owner of the Tiger Arc or the Pegasus Arc. Due to the nature of the Void the user of this arc gains a permanent 3 points to all stat areas as long as they own the arc. The markings are gold coins with the animals faces on the guard of the saber. In the void ethereals are one of the only two lifeforms. Ethereals are formed when the spirits of the void give up their will to live and they vanish leaving nothing behind but a shell of their power and being known as the ethereal. There are several different types of ethereals, but almost all of them hold one thing in common. They can't use chi neither in the void, spirit world, or the mortal world. Depending on the power and abilities the person held in life depends on the type of ethereal they will become. The ethereals can be broken down into three different groupings or ranks. Any species of ethereals within class 3 are the weakest with them having 30 stat points. How they are spread depends on the species. 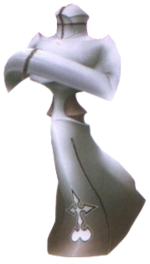 Ethereal species within class 2 are far more powerful than anything in class 3 and depending on the species, they can possibly be stronger than veteran ranked fighters. 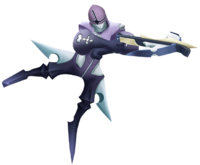 Ethereals within class 1 are almost unknown of, the only thing that is known of them is that they are somehow able to maintain their human appearance and ability to use Chi. Their numbers are so few that you can count the number of them living within the void on your fingers. Ethereals of lower rankings can devour other ethereals to progress to a higher state, but this doesn't happen for the most part. Although ethereals are powerful they hold one true weakness and strength, that is the void arcs. The void arcs are the most effective weapons for killing ethereals. They are also like a signal of power, meaning that while in the void a person in possession of a void arcs is a constant target for ethereals. It is said that if the etheteals come into possession of the 5 void arcs, they could evolve into something far more powerful than even a master level fighter. Below is a list of ethereals along with a brief description and stats. The most common of all ethereals. They are class 3. They are formed from the energy and power of very weak individuals. However what they lack in strength, they make up for with speed. Their main tactic in battle is to out perform people in speed. They take a liking to spinning and running around people and striking, and repeating the process. Another common and weak variety of ethereal. They are class 3 While the husk are very fast these ethereals have no specialization and are very well balanced. They have no battle tactics other than using the massive numbers they come in to overwhelm people. One thing to note is when you roll a die for them, for every 1 of them you get that counts as 2 of them. A class 2 ethereal and most definitely the largest. While most other ethereals are the size of the average adult human, these ethereals are 40 feet tall! Their huge size comes from a group effort of ethereals coming together and letting 1 devour them, in hopes the new being will have the size of the Spirit world Behemoths and use chi. With their great size comes immense strength, but very little speed. These ethereals are not few in number but are nowhere as common as a husk or stalker. They have more power than a veteran level fighter, with them having 90 stat points! A class 2 ethereal with the power of mimicry. These ethereals have no stats of their own however they can take on the form and abilities of anyone they see! These replicas are exactly like the original at the time of copying, however they are not capable of speech rather they just use grunts and moans and a weird sort of screech. If they copy a person capable of using chi they also can use that. A class 3 ethereal the Dirty Dancer is the only identifiable female ethereal. The dirty dancer has no power in her upper body and her main plan of attack is to swiftly move around the target and kick them vigorously. Whenever they use a power kick the opponent goes flying up into the air. A class 3 ethereal that is based off of the fighter class of marksman. 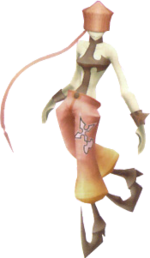 They were created from ethereals trying to adapt and evolve to use human weapons and combat tactics. These ethereals are equipped with a sniper rifle which they use to cause massive damage. However they are extremely slow and are bad at close combat. Note: When in the void you are unable to continue threads anywhere else since these are two planes of existence, and you can't be in two places at once. The only exception is for synchronization users to RP in the spirit world, since their soul leaves their body to go there.